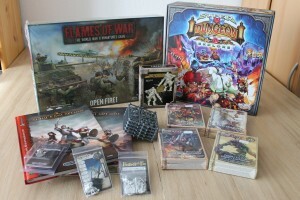 Since Thursday its once again Spiel, the big toy fair in Essen, and i went to the show - of course on the first day! Such an event can't be visited without the regular haul on the traders and manufactors, and as some readers already started asking about those, i don't want to keep you waiting. Here it is. 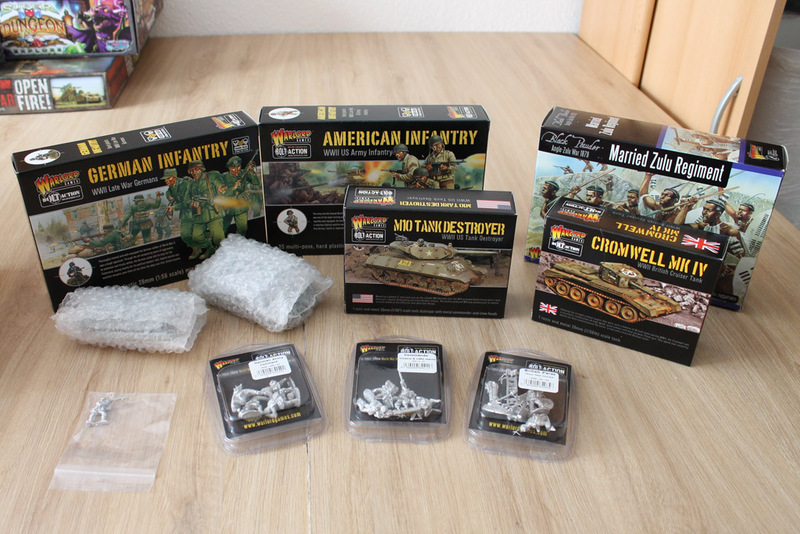 Plastik kits of american and german infantry, as well as Zulu Warriors, a M10 tank destroyer, Cromwell Mk IV, Stug III, Panzer II and several single miniatures. 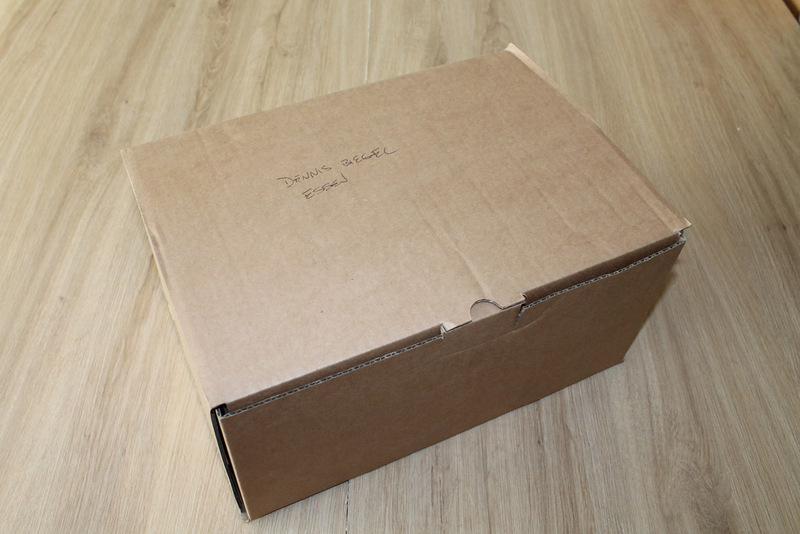 Unfortunately a few items were missing from my order, the Panzer IV, Panzer Ia and the BMW motor bike with sidecar. And that even though i gave them more than 4 weeks of a head start ... there is space for improvement! I used the friday to get some minor things at the DIY store. 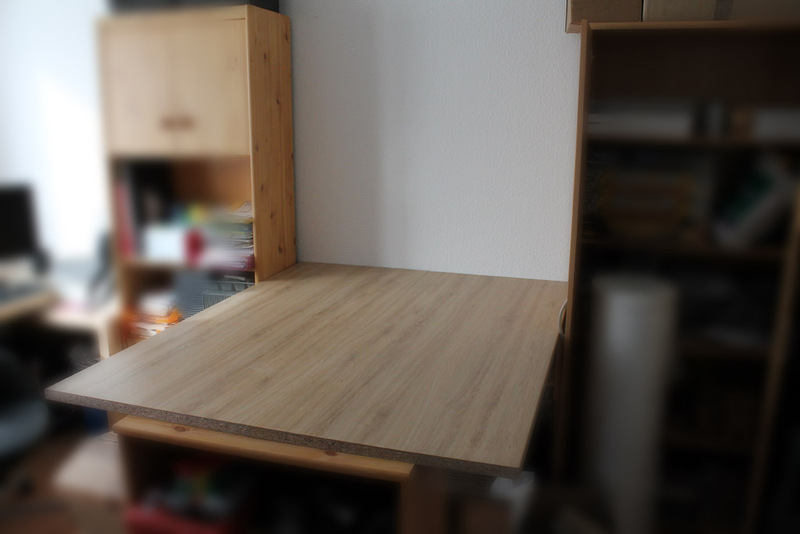 Some worktops for the hobby room. Universal space for bigger pictures, games (and battle reports) and visitors, as i have a guest paint station. Wir waren am Wochenende auch da und haben fleißig zugeschlagen. Die SPIEL war mal wieder eine mehr als Gelungene Veranstaltung, auch wenn zu Stoßzeiten echt kaum noch ein Durchkommen war.